TDS is the first step of payment of income tax to the income tax authorities. Among all the TDS sections only some of them should give more priority in interpretation sense. Section 195 of the IT Act is one of those few sections. The provisions of this section are wider in scope than other TDS sections. Any person liable to pay any sum (chargeable to tax under the provisions of the Income Tax) to a non-resident (NRI), any interest (other than interest on securities) or any other sum (not being income chargeable under the head” Salaries”) shall, at the time of credit to the account of the payee or at the time of payment in cash or by cheque or draft or by any other mode specified, whichever is earlier, deduct an amount equal to the income-tax thereon at the specified rates in force. Provided that the above provision shall not apply where the interest is payable by the Government or a bank (public sector bank) or a public financial institution, therefore the deduction of (TDS) income tax shall be made only at the time of making the payment in cash or by a cheque or draft or by any other specified mode. 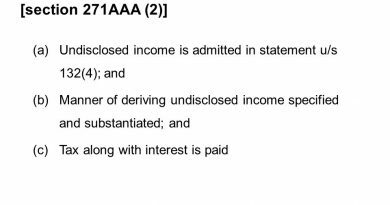 Further, provided that no such deduction of the income tax shall be made in respect of any dividends referred under section 115-O. The rate specified in the DTAA (an agreement entered by the government of India with another country) or the rate in force under the Income Tax Act, which is more beneficial to the assessee will prevail. If the NRI doesn’t have a PAN then deduction of the income tax would be at the rate in force or 20% whichever is higher. The whole amounts paid to the NRI would be disallowed under Section 40 (a)(i). Simple Interest at the rate of 12 % per annum on a month to month basis. The rates specified under the Income Tax Act have to be increased by surcharge and education cess. If the deduction of the income tax is being made as per DTAA rates, then there is no requirement to add such surcharge and education cess. Where the taxable income of the NRI during the previous financial year exceeds the basic exemption limit, which is not chargeable to Income Tax. Where the NRI has earned short term or long term capital gains on the sale of any investments or assets, even if such gains are less than the basic exemption limit. An NRI may also file a tax return if he has to claim a refund. Alternatively, he can submit Tax Exemption Certificate to all his deductors instructing them to deduct less tax or nil tax, as applicable. If his income chargeable to tax has only of investment income (interest) and/or capital gains income and tax is deducted t source on such income, he does not have to file his tax returns. He is also not required to file his return on income where he has earned long-term capital gains from the sale of equity shares or equity mutual funds. He will have a basic exemption limit like any resident Individual. For AY 2016-17(FY 2015-16) it’s two lac fifty thousand. If his income exceeds this limit, he should file income tax returns in India. His income will be chargeable to tax as per the tax rate and slabs prescribed for resident Indians below 60 years irrespective of whether he is a senior citizen or not. He also cannot adjust the taxable capital gains with the basic exemption limit. So if an NRI income has Rs 2.5 lac of capital gains, he will have to pay tax at applicable rates for the full amount even if he has no other income. As a result of this, He may have to claim a tax refund if more is being deducted than total tax payable by him. Just like a resident, if non-resident’s tax liability exceeds Rs. Ten Thousand in a financial year, then the non-resident is required to pay advance tax. Interest U/s 234B and Section 234C mutatis mutandis applicable when the non-resident fails to pay advance tax. The last date to file income tax returns for non-resident is same as that for a resident in India. For the assessment year, 2016-2017 is July 31st, 2016. Like resident Indians, an NRI can delay filing his Income Tax returns. If the non-resident do have tax payable, he can still file his returns by 31st March 2017 but he will be charged an interest of 1% per month for every month of delay starting from 31st July 2016 till the time he files his income tax returns. A Non-Resident’s salary income is taxable when he receives his salary in India or someone does on his behalf receive such salary. Therefore, if a Non-Resident receives his salary directly to a bank account in India it will be subject to tax as per Indian tax laws. This income is taxed at the slab rate Non-Resident belongs to. Tax on Non-Resident’s Income in India will depend upon his residential status for the year. If the Non-resident status is ‘resident’, his global income is taxable in India. If the Non-resident status is ‘NRI’, his income which is earned or accrued in India is taxable in India.